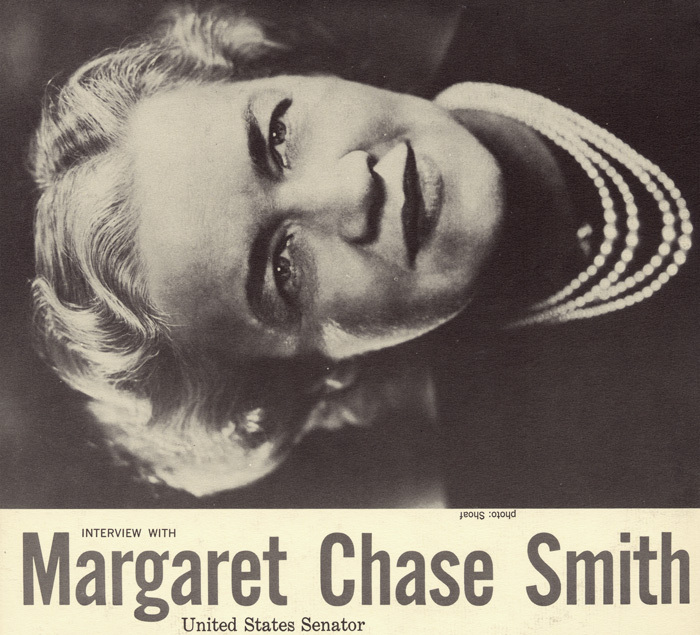 Senator Margaret Chase Smith (Republican-Maine), the first woman to ever serve in both the House and the Senate, talks to Howard Langer about life in the Senate, women in politics, and her decision-making process for votes. At the time of the interview, Sen. Smith was the only woman in the Senate, and she notes several “free services and facilities” provided only to male senators. Sen. Smith puts a positive spin on the unequal treatment, though. “I like it this way because it establishes beyond the slightest doubt that I am the most economical member of the Senate; I cost the taxpayers less than any of the other 95 men senators,” she said. Liner notes include a transcription of the interview and a teaching guide.